From 04-01 to 12-07-12 : open daily, except on 05-01, 05-08, 11-01, 11-11. From 12-08-12 to 04-30-13 : open daily. 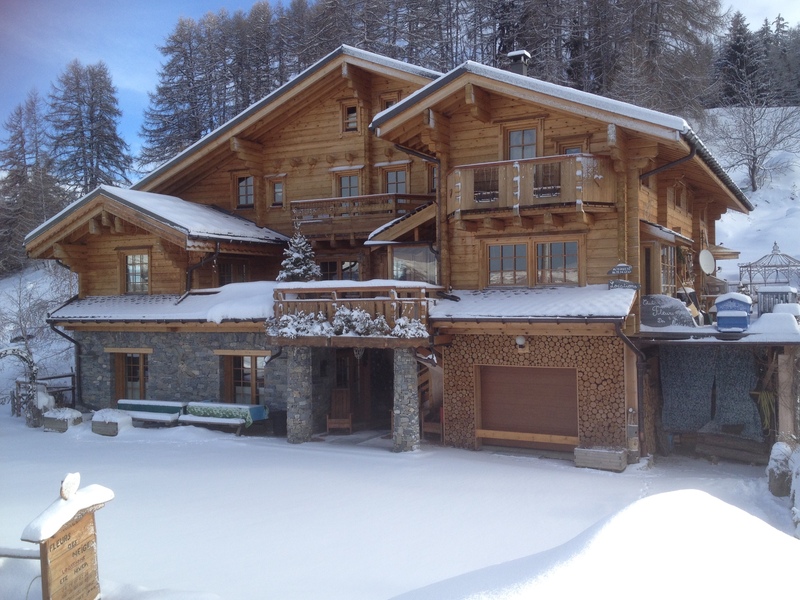 Comfortable chalet, able to accommodate from 6 to 28 people, in the hamlet of 'Plangagnant' (altitude1,600m) on the La Plagne ski resort road. The ‘Flocons’ part of the chalet is an 80m² apartment for 8 people. For holidays in the mountains with family or friends, Fleurs des Neiges chalet offers you peace, space and comfort the whole year round: in winter with skiing on the "Plagne-Paradiski® " ski area, and in summer with the many mountain walks and other activities on offer in the resort. 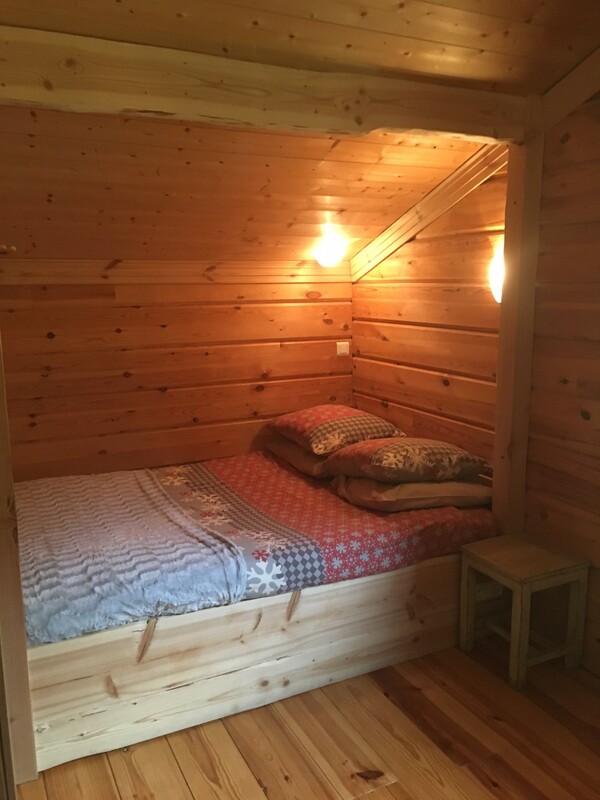 You will be staying in a solid, comfortable log-built chalet that can accommodate from 6 to 28 people within its 3 furnished apartments. For your comfort: sheets provided and beds made up on arrival, . Nearby (500m): the foot of the slopes and the departure of La Roche chairlift, linking Aime-La Plagne (altitude 2,100m). Competent skiers can leave and return to the chalet on skis (off piste), when snow conditions permit, alternatively there's a free, private shuttle service mornings and evenings (on request). Communal washing machine at your disposal Monday to Friday. SPA and SAUNA in front of the chalet for the use of all three apartments. Paradiski is a registered trademark of Compagnie des Alpes-Domaines Skiables.